I’ll confess, it has taken me a while to finally sit down and listen to Strange Land all at once: some truly optimal skiing conditions as well as the St. Patrick’s day work/party schedule has kept me away from the laptop for over a week. But now, I feel like a fool for waiting so long to get educated. I could have been ripping mad powder with some of these tracks blasting. But hindsight is 20/20; best push on with what I’m here to do. In a totally new direction from his debut album The Mistress, New York’s Yellow Ostrich (born Alex Schaaf) has expanded the musical palette to an extreme. Where the previous offering was minimal and eclectic, mixing looped vocals with different effects, it seems many of the tracks on Strange Land take you on a journey with a vast landscape. Each is like a 3-4 minute vacation, and Schaaf is your guide. Take the opener, Elephant King: Hyper produced vocals, slight buzz, and the buildup to the meat of the song is tantalising. Then the latest single, Marathon Runner, and it’s a belter, hooking your attention from the outset, with the quirky vocal intro that cascades into a cacophony of cymbals and a great chorus. I Got No Time For You is a drugged out antithesis of the previous tracks, leading up to a sensory overload with essence of Pink Floyd and a self-affirming mantra. I Want Yr Love has a beautiful vocal melody, with almost a Moroccan feel. 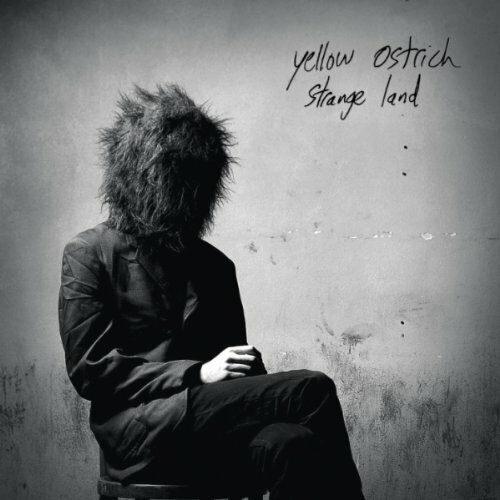 The point is this: Yellow Ostrich has created a highly listenable album, made up of solid standing songs that equal a sum greater than its individual parts. If this is the development capable in just one year and 2 albums, then one can only anticipate their future endeavours to be met with eager ears and open wallets. If they can continue this trajectory, they could well be up there with the greats in a relatively short amount of time.